You can count on Casagrande UK for effective after sales support. With 30 years experience we know how important it is to have the right after-sales service and back up. It's the difference between getting the most from your equipment or having machinery that's sat idle costing you time and money. That's why we have a team of dedicated, factory trained service engineers who can assist you. Our experienced and knowledgeable staff are able to help you quickly identify the parts you need. We carry 1000's of parts in stock and have close links with the after-sales departments of the other manufacturers we represent, with direct access to the spares stock and service expertise of those companies ensuring parts can be delivered to you in record time. 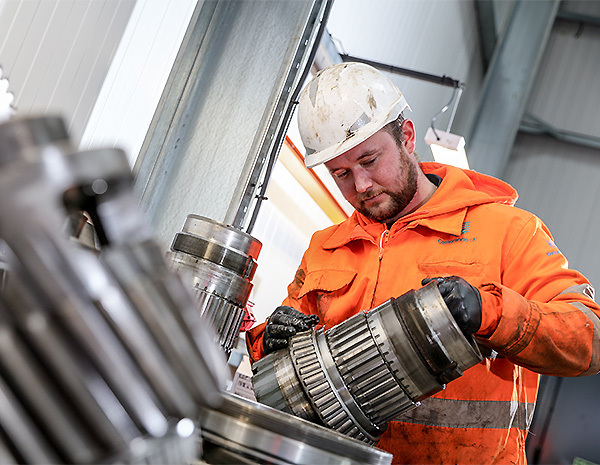 We aim to deliver the most comprehensive after sales support service possible for your new or used Casagrande, Eurodrill, Hany, Stuwa, TEC System, HD Engineering or Hutte Bohrtechnik machinery.